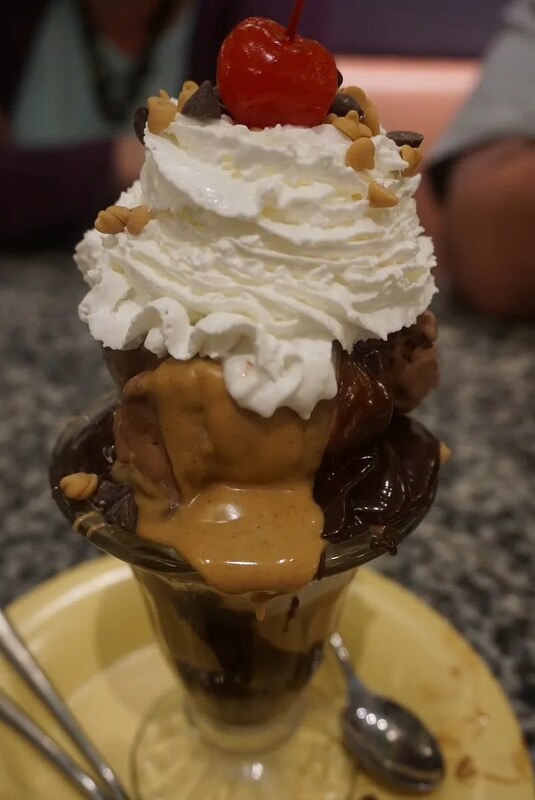 It had been a couple of years since I’d been to Beaches & Cream for more than just dessert…or more specifically, the No Way Jose sundae. So I was determined to have a meal there on this trip, even if the only time I could fit it into my schedule was a late night dinner. Happily Paula and Hunter agreed to join me, so the three of us checked in early for our reservation and after a short wait were seated at one of their small tables. Noticing a nearby empty booth we asked if we could move and were allowed to do so. I only had a taste of these since I was trying to pace myself in hopes of saving some room for dessert. However, what I tasted was good. 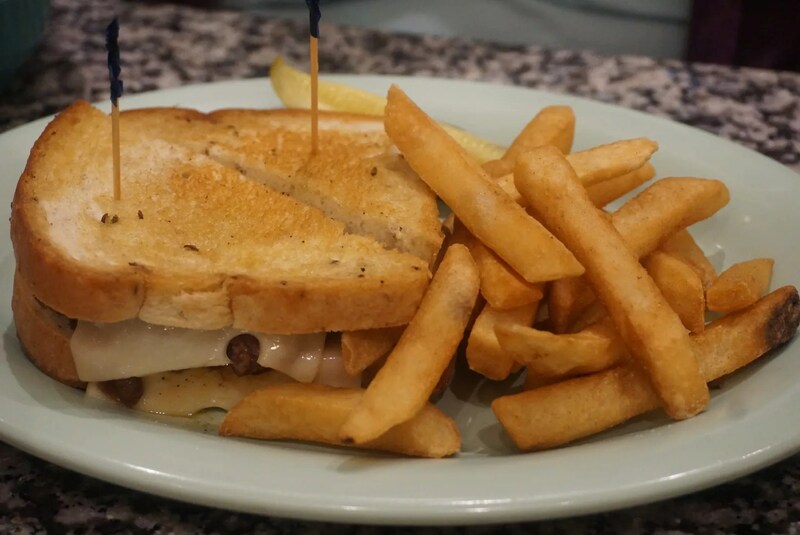 This normally comes with a choice of French Fries or Fruit. 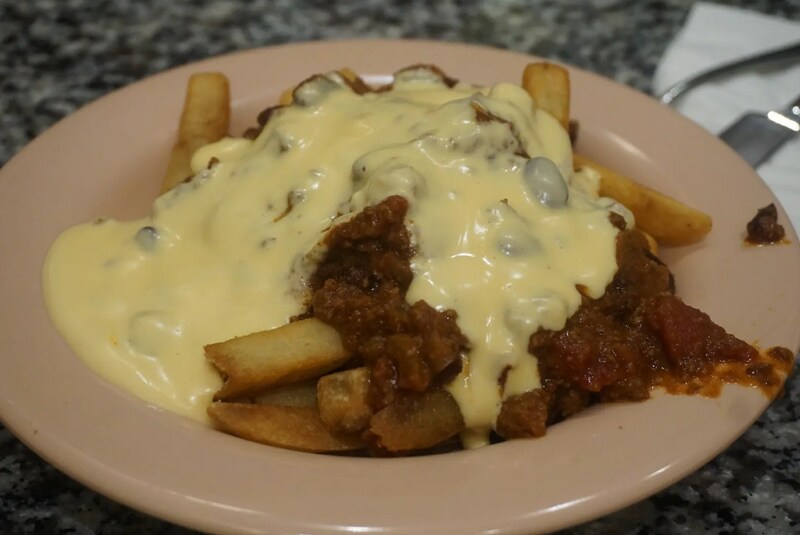 However, Hunter substituted (for an upcharge) the regular fries for the Sock Hop Fries (french fries topped with brown gravy and shredded white cheddar cheese). 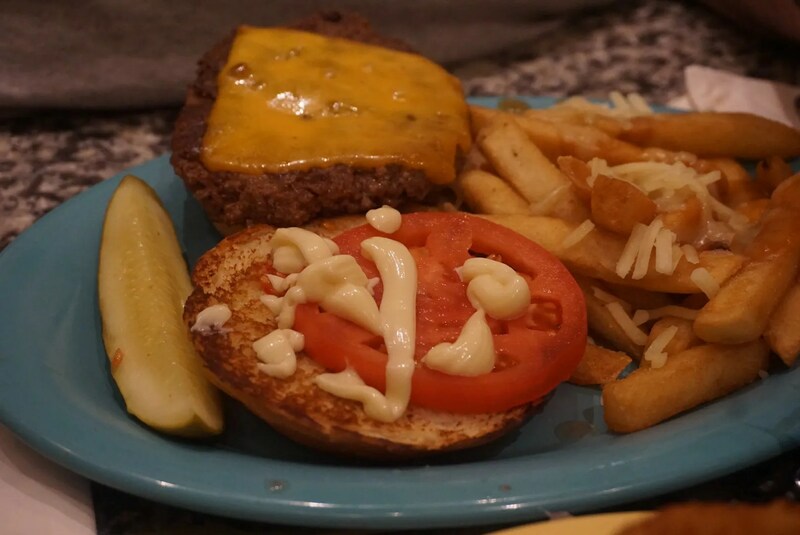 Hunter said the burger was just okay but the fries were delicious! 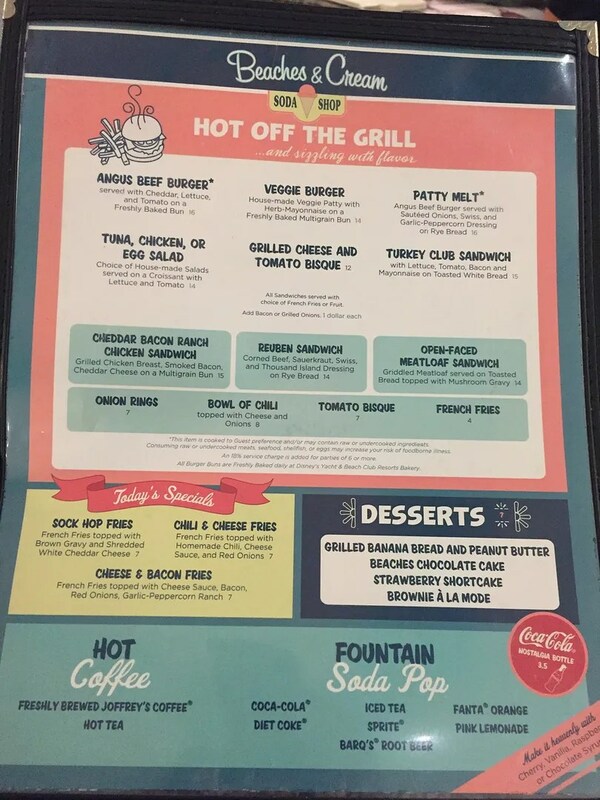 Paula said the Patty Melt was just okay. 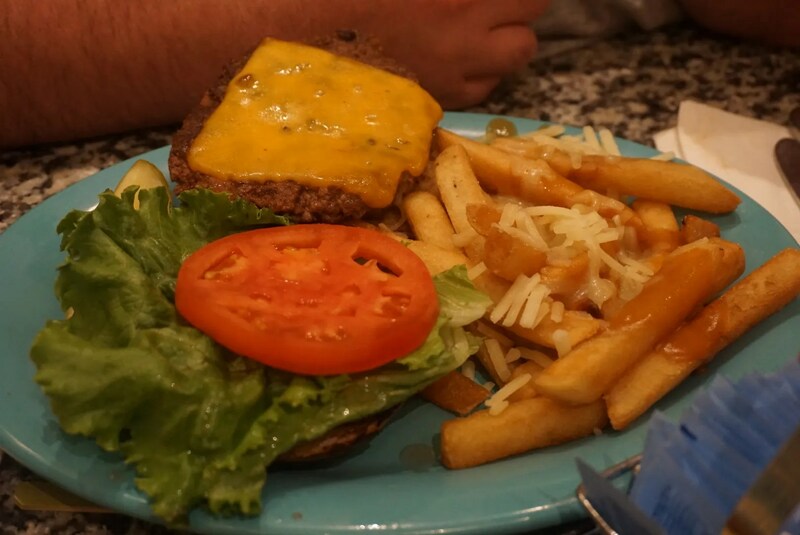 It had more bread than burger, plus it needed more cheese. 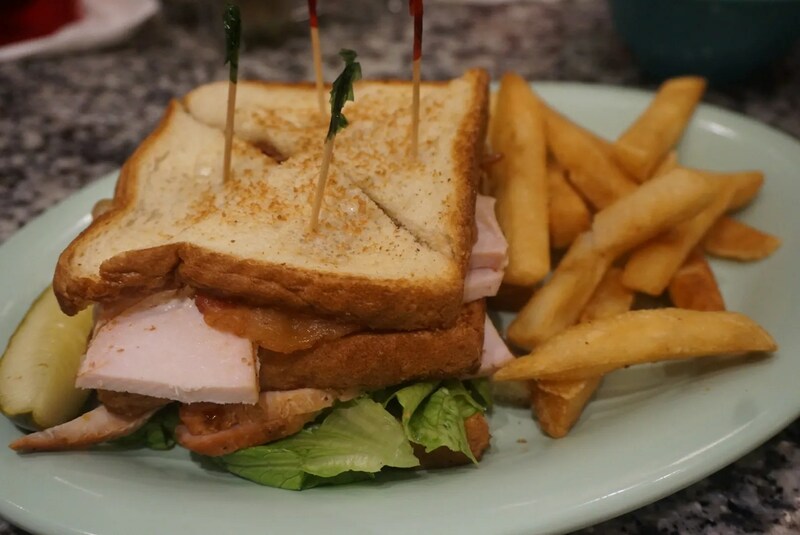 The sandwich was good, but next time I’ll probably try something else…likely the Cheddar Bacon Ranch Chicken Sandwich if it’s still on the menu. 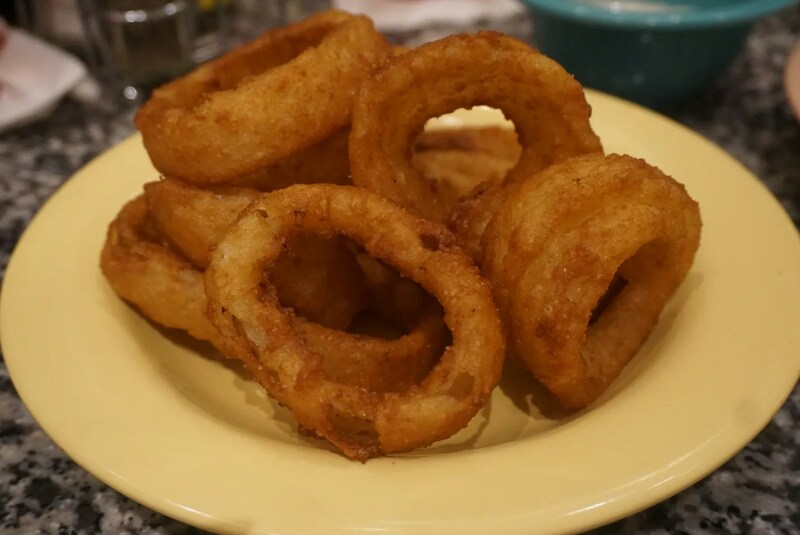 I had told Paula and Hunter that (from what I could remember) the Beaches & Cream onion rings were as good as the ones from 50’s Prime Time, which we all like. 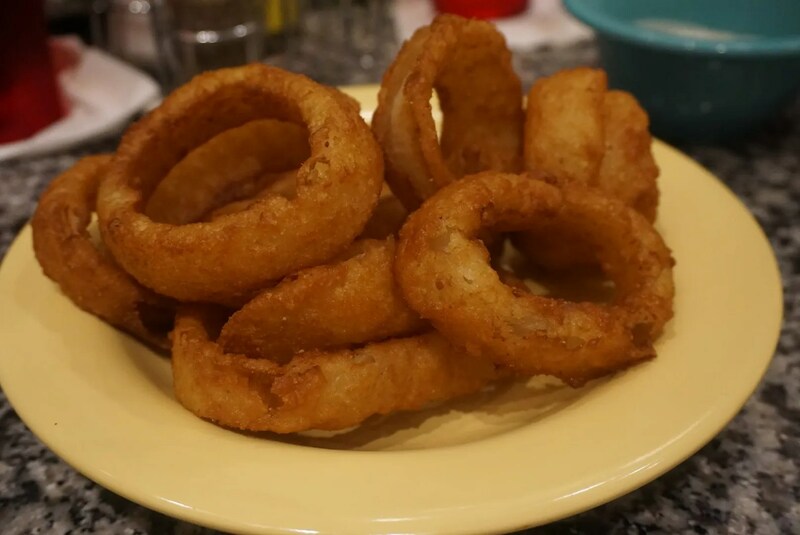 Since we had lunch at 50’s Prime Time the next day, I will leave you hanging for a bit regarding our Onion Ring Challenge. Now did I need dessert? Absolutely not! Did I have any room left for dessert? Absolutely not! 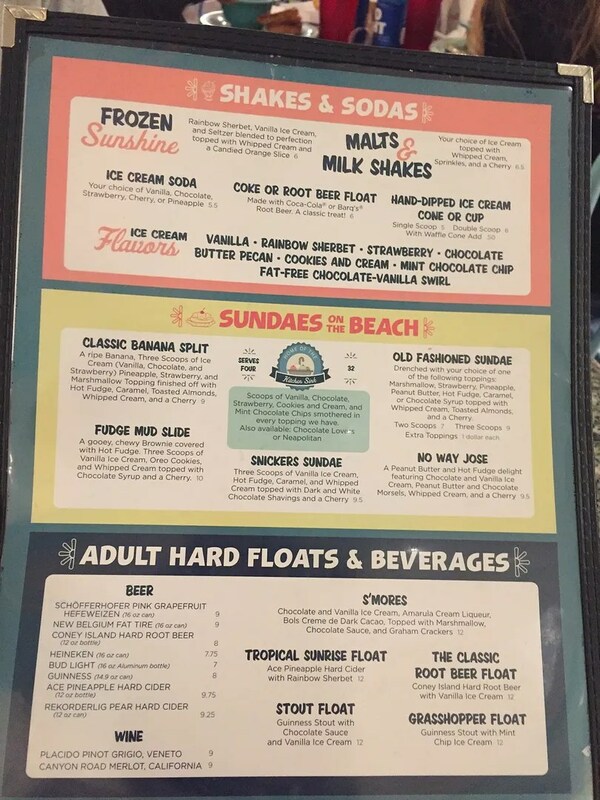 Could I go to Beaches & Cream and not have dessert? Absolutely not! 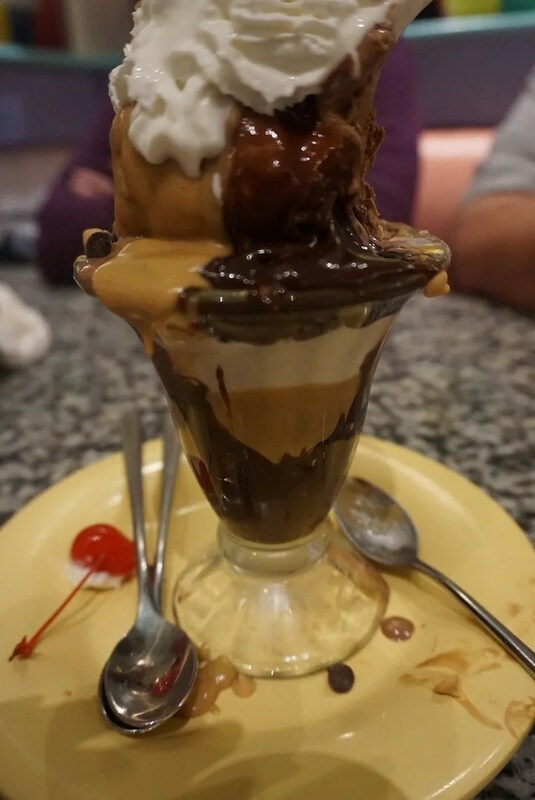 This was the smaller version of the No Way Jose sundae with two scoops of ice cream (instead of three), one chocolate and one vanilla. This topped with peanut butter and hot fudge sauce, whipped cream, peanut butter and chocolate chips, and a cherry. With Paula’s help I was able to eat about half of this. I wish I could have eaten it all because it is sooooo good! I love the No Way Jose! So that just leaves the ratings. Yelp reviewers rated Beaches & Cream 4 stars. Based on just their sandwiches, I would agree with this rating. 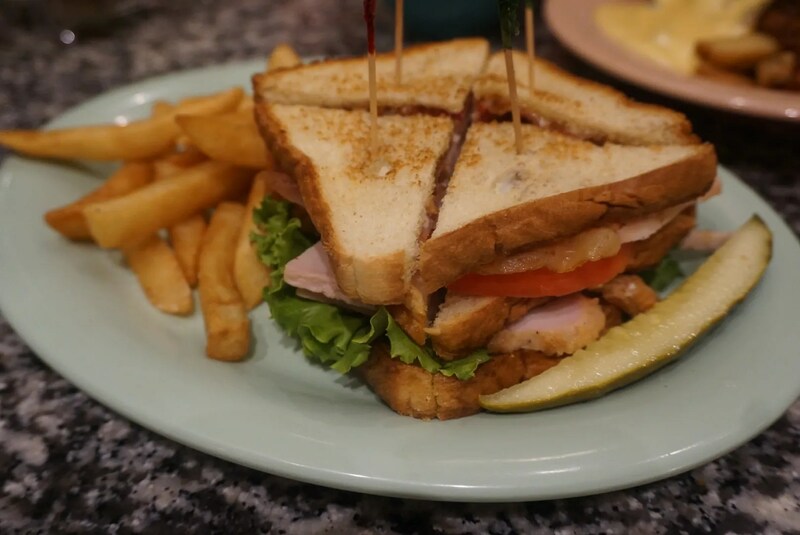 However, Trip Advisor reviewers gave Beaches & Cream 4 1/2 stars and ranked it #95 of the nearly 3,000 food options reviewed there. Factoring in their fries and onion rings, plus of course my much loved No Way Jose, I would also agree with the Trip Advisor reviewers.